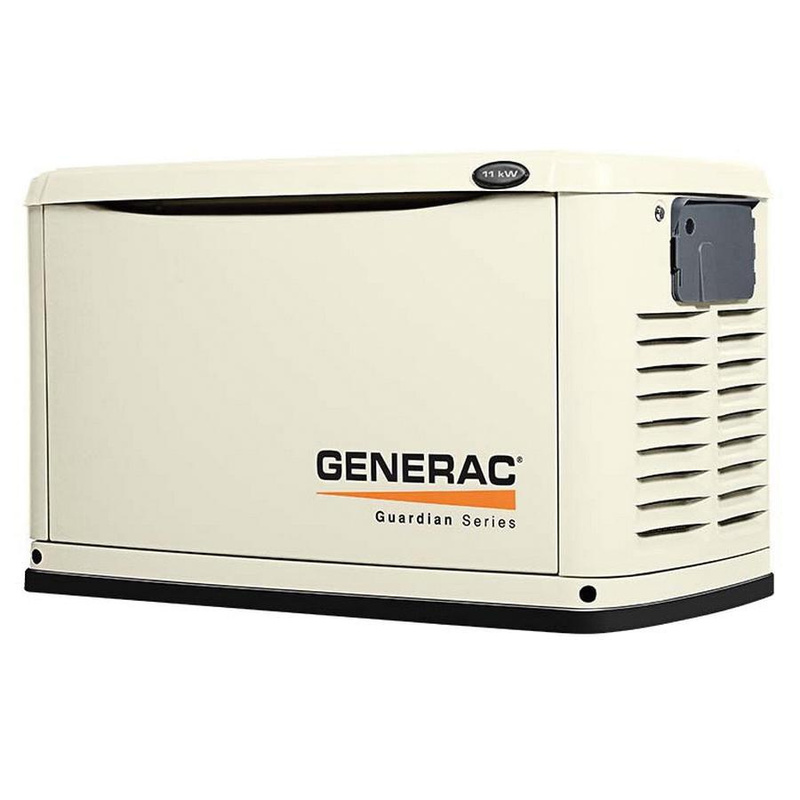 Generac 1-Phase 2-Cylinder Standby generator With service rated smart switch, features natural gas/liquid propane fuel type, 530 cc GENERAC OHVI® V-TWIN engine for high-performance. It has voltage rating of 240-Volt AC and current rating of 45.8-Amps for liquid propane/41.7-Amps for natural gas. This automatic/manual/off generator has power rating of 11000-Watts for liquid propane and 10000-Watts for natural gas. It features steel enclosure and bisque finish. Generator consumes 124 CFH at 1/2 load/195 CFH at full load in natural gas and 42.8 CFH at 1/2 load/70 CFH at full load in liquid propane. It measures 47.9-Inch x 25.1-Inch x 28.8-Inch. It has compression ratio of 9.5:1 and run time of 12 mins. It has 12-Volt DC starter and 2 rotor poles.